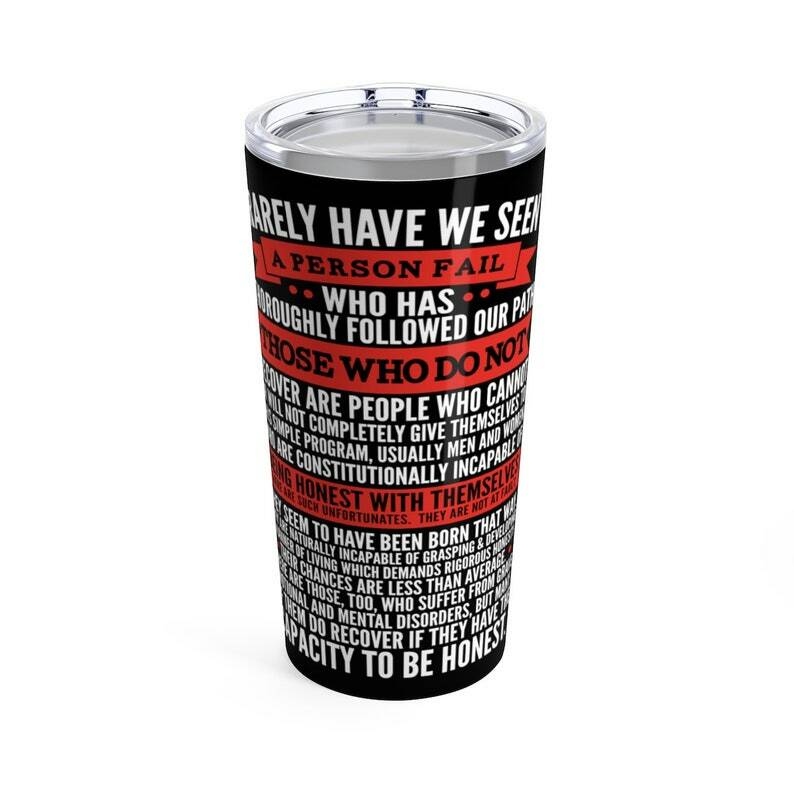 This stainless travel-size tumbler is perfect for anyone living the sober recovery life. It is vacuum-insulated and built to last. Whether you are a newcomer or old-timer (or, my favorite, LONG timer!) show off your recovery pride. Let the world know that you are a Friend of Bill W. You never know when you are going to bump in to another 12 Step program member. This makes a great gift for any AA, NA, Al-Anon, person in your life! It's perfect for showing off your Recovery lifestyle on the road, at the office, or in the country-side.